← How to judge aluminum tread plate quality? Aerospace aluminum sheet is used to make aircraft skin, fuselage frames, girders, rotors, propellers, fuel tanks, siding and landing gear struts, as well as rocket forges, spacecraft siding and more. Packaging aluminum sheet is widely used in beverages, food, cosmetics, medicines, cigarettes, industrial products and other packaging. Transportation aluminum sheet can provide a full range of automotive aluminum alloy materials Subway, light rail, used in the manufacture of cars, subway cars, railway cars, high-speed bus to the body structure, windows and doors, car engine parts, air conditioners , Radiator, body panels, wheels and ships timber. Aluminum cans is a measure of the level of a country’s aluminum processing, aluminum, mainly in the form of sheet metal and foil as a metal packaging material, made of cans, lids, bottles, barrels, packaging foil. Printing aluminum sheet, aluminum PS version of the printing industry for the transformation provided a strong support. Electronic appliances with aluminum sheet, mainly for a variety of bus, overhead lines, conductors, electrical components, refrigerators, cables and other fields. 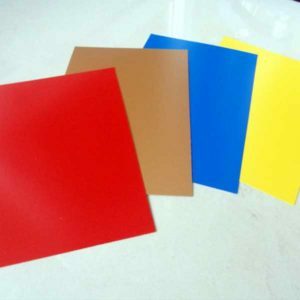 Building decoration with aluminum sheet , aluminum alloy due to good corrosion resistance, sufficient strength, excellent processability and welding performance, widely used in building structures, doors and windows, ceiling, decorative surfaces.